Pedro Vásquez-Ocmín, Sandrine Cojean, Elsa Rengifo, Soulaf Suyyagh-Albouz, Carlos Amasifuen Guerra, Sebastien Pomel, Billy Cabanillas, Kember Mejia, Philippe Loiseau, Bruno Figadere, Alexandre Maciuk. In many parts of the world, people suffering with a case of malaria would turn to a doctor for medication. But, for generations, rural people of Peru have turned instead to the forest. Now, an Atlas-award winning study reported in the Journal of Ethnopharmacology shows that their faith in medicinal plants is, to a large extent, backed up by science. 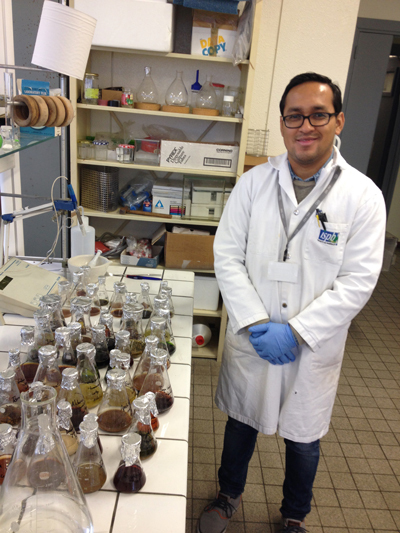 Studies in the lab of extracts made from medicinal plants identified by people from the Iquitos-Nauta road communities show that those extracts do indeed work to fight the protozoan parasites responsible for malaria and other infectious conditions common in the tropics. Remarkably, many of the plants identified in the study had never before been described as medicinal. The new findings pave the way for the identification of promising new compounds with potential for drug development. 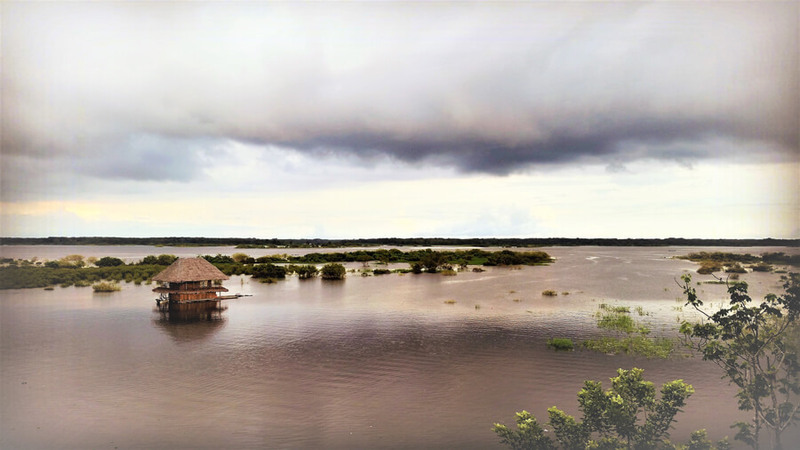 To learn more about the traditional medicine relied on by those rural communities, the researchers led in the field by Elsa Rengifo and Pedro Vásquez-Ocmín from Instituto de Investigationes de la Amazonia Peruana surveyed 75 rural people from the province of Maynas, located in the region of Loreto, Peru. The primary goal was to learn which plants they traditionally used to treat malaria and “uta,” the name used for the condition called leishmaniasis. The researchers first made a list of plants named by at least five study participants. They then verified the plant species indicated and collected it from backyards or wild areas near those individuals’ homes. After carefully producing an extract from a small amount of the dried and ground plants, the researchers tested the ability of those extracts to harm protozoan parasites including Plasmodium falciparum (which causes malaria), Leishmania donovani (which causes leishmaniasis), and Trypanosoma brucei gambiense (which causes African sleeping sickness). From the initial list including dozens of plants, the researchers found 10 with activity on P. falciparum and 15 with activity on L. donovani. Extracts made from the leaves of a plant called Costus curvibracteatus and the bark of Grias neuberthii worked against all three parasitic species. The findings show that traditional people know what they are doing when it comes to the use of medicinal plants. They also provide a list of candidates for further anti-protozoal research. They say they’ll continue to explore the extracts in search of active compounds. They’d also like to expand their studies to other traditional communities of people who live deeper in the Peruvian forest, including those whose language and culture is now under threat of being lost. 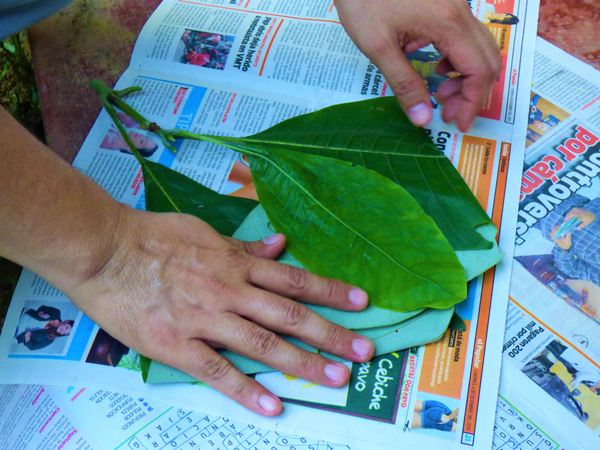 Atlas: What led you to explore these uses of medicinal plants in Peru? Alexandre Maciuk: Pedro is a native of the region and these diseases affect a lot of people in the tropical areas. It’s a pretty isolated area in the Amazonian forest and this means that the biodiversity pressure on people living there is very high. There are a lot of insects, animals and plants, and of course pressure from parasitic diseases is high in such a setting. Pedro also reminds me that 95% of malaria cases in Peru are located in Iquitos. That means that most of the Peruvian problem with malaria is in Iquitos. So this is to highlight what I’ve just said. This city is a very special place. He also reminds me that these communities live next to a natural reserve and what that means is this area is somewhat protected. It also means biodiversity is very high. The people there have access to a wide range of wild species. Atlas: What was it like to conduct these interviews? Alexandre Maciuk: First, these communities are easy to work with because they are educated. They can understand the scientific concern. They can understand the idea and they always accepted the scientists nicely. They are kind and open enough to tell the people who would do the interviews what plants they would use. Compared to very traditional communities that would live deeper in the forest, they are not afraid. They don’t fear that their knowledge will be stolen and are therefore quite open in sharing with academic researchers. Atlas: Is this knowledge widespread in the community? Or are there particular individuals who hold the knowledge? Alexandre Maciuk: We chose 75 people to interview. In these communities, it’s not like there’s only one medicine guy in the village. So, yes, it’s widespread knowledge. Everyone in the community uses these plants and one of our goals was to see if this traditional knowledge would correspond between different people. Atlas: Once you conducted interviews and had this information about the plants, how did you explore further? Alexandre Maciuk: When people tell an interviewer that they use a particular plant for a particular ailment, usually they just mention the plant, they don’t show it and when they mention it they use the vernacular name. They don’t know the Latin name. So the first step is to go from the vernacular name to the Latin name. Then you need the help of a botanist to guide you in the forest to find exactly this plant, which is for sure the right one. After collecting a small amount, the next process is drying, grinding, and producing an extract with solvents. Once you have an extract you can test it in biological assays. The most critical aspect is the transfer from the vernacular description of the plant to the well-identified plant with the Latin name. Atlas: In the paper, you mention that many of these plants did seem to do something useful and 17% of these plants you learned about had never before been reported as medicinal plants. Can you speak about that? Alexandre Maciuk: Yes, I would say that this may be related to the fact that these people live near a natural reserve where species are protected. In Peru, you can find several biotopes such as coast, mountain, and forest. There are so many species and usually their representation can even differ from different areas of the forest. But we were surprised as well and this may be indirect demonstration that the Amazonian forest is still filled with species that have not been explored. If you go into the Amazonian forest, one plant out of five you just don’t know it from the chemical or biological point of view and still people use them traditionally. Atlas: Are some of these plants or the extracts you got from them effective enough so it makes sense to consider them for drug development? Alexandre Maciuk: Besides the transition from the traditional description and botanical name, another critical transfer is going from whole plant to the chemical compound or compounds that bears the activity. This is sometimes risky. You may imagine a powder of bark or tea contains hundreds or thousands of compounds. It may be that the mixture is active, but if you try to go to the molecular level you don’t find anything active. You may struggle to find a compound you might consider as a drug. We want to implement ways to explore an extract and ask if there is a compound or a family of compounds that seem to be responsible for the activity. Pedro has been working to identify in an extract if we are able to detect a compound that would bind to, for example, a specific target in the malaria parasite. Plasmodium invades red blood cells and feeds on hemoglobin. When it digests hemoglobin, the waste produced (free heme) is highly toxic for the parasite. There is still no consensus on how it does that, but it aggregates this waste so it becomes safe. So, what we are targeting in the extract are compounds able to bind to these aggregates and unravel the toxicity of this waste so the parasite dies. This is how most drugs against malaria work, quinine and so on. One mode of action is to disrupt the parasite’s strategy to handle toxic waste. We are looking for compounds with this mode of action. Alexandre Maciuk: In the same area of the forest, there is a community of native people known as the Kukama and this community is shrinking. It’s almost gone and the culture has almost disappeared, including the language. There are maybe fewer than 100 people who still know this particular language. We’re interested in exploring the traditional use of plants by this group of people. We’d like to try to put down both the language and their knowledge on medicinal plants.